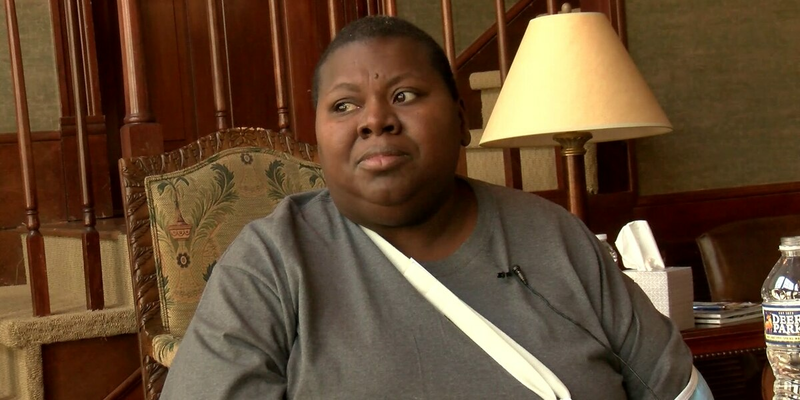 MEMPHIS, TN (WMC) - Veronica Love is one of the survivors of the tour bus crash that killed two people. She described the horror of being on the bus when it hit a patch of ice and landed on its side. "[I'm] grateful to be alive. I mean I still got a lot of pain, but I'm really blessed to be alive," said Love. She said she’s relieved to finally be back home after the tragic accident. The remaining passengers arrived back home to Huntsville, Alabama Thursday night. "It was a normal trip, everybody got on the bus, we left normal time the bus usually leaves," said Love. She said the bus started spinning. "It [spun] like twice, then we hit the rail and the bus flipped over and it was a few people on top of me," said Love. The crash killed two women, 61-year-old Cynthia Hardin and 76 year-old Betty Russell. Love said it felt like a "lifetime" waiting for help to arrive. "I was on my side laying there, I was soaking wet, people was on top of me. Folks was screaming," said Love. 6 of the injured survivors remain at Regional One, while 2 remain hospitalized at Baptist DeSoto hospital in Mississippi. Love was treated at Baptist DeSoto. She was released Wednesday night and her daughter drove from Huntsville to pick her up and take her home. Love said she was too traumatized to get back on another charter bus. Now that she's back home, Love is trying to get back on her feet, unable to work at her job at a group home. “I’m left handed so I can’t use my left hand to assist other people. I can’t even assist myself right now,” said Love. Though she knows it may be a long road for physical and emotional recovery, Love said she's grateful to all who helped during one of the worst experiences of her life. "I just want to thank those people those people at the hospital because I was cold and I was soaking wet and they helped me, they really did help me," said Love. The Mississippi Highway Patrol said they will reconstruct the accident Wednesday to learn what caused the crash.